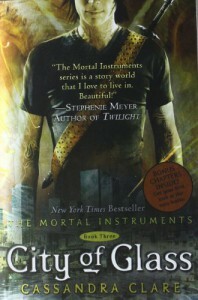 For quite some time, City of Glass was the end of the Mortal Instrument series. Along came the announcement that there was to be 3 more, which I have to say was one of the greatest things I’ve read on the internet. This book was particularly quirky, much funnier (and that balanced the intense gloom/darkness this series was leading up to) and 10 times more action packed than the first two. There is not a moment where you would think “ok they’re safe for now.” Aside from this being a fantasy book, it was very realistic and be prepared (physically and mentally) for deaths and the sort. You will see that Simon has somewhat moved on from Clary and I found that a little disappointing, but I’m happy that it won’t always be unrequited love for the poor guy. That isn’t to say that they’re further apart and aren’t best buds anymore! If I could find a man like Simon, I won’t ever let him go. Then there’s Jace; there’s a point when one of the characters pretty much says that he is ravishing. I for sure see that, no person (guy or girl) would not do a double take if he walked by. He is mostly angst in this book; I mean his father IS the main villain of the series. There is a new main dude in the series, Sebastian Verlac, and he has set his eyes on Clary. Yes, Simon exits and along comes Simon. And he’s the dark haired, knight in armour Jace. And much nicer. Basically, the entire story and everything leading up to this ends, including the relation between Magnus and Alec, Jocelyn and her reasons for lying so damn much to her daughter, and A LOT of relations toward Angels. There will be not a moment that you would see coming, unless maybe you were warned before hand to read the book carefully as the author gives many hints leading to the end. 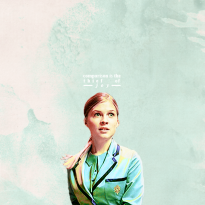 Also, the epilogue DOES include a little someone significant we know from Clockwork Angel. There are parts in this book which reminds me of world war 2, specifically Hitler and Valentine. He is BIG on cleansing the world and you see how in their minds, killing seems so “right and justified”. Truly disgusting that even Shadowhunters have problems with psychos.